Tracking a mobile phone may refer to different things depending on the purpose for which a mobile number is being tracked. For instance, police or other officials may want to track a mobile device in order to find the location of its owner or present holder. On the other hand, individuals in the USA may want to use a mobile tracking service to locate their lost or stolen mobile devices. Sometimes, you may need to track a number in case you are receiving prank calls or harassment calls. Depending on the purpose, there are multiple ways to track a mobile number/phone, which we will discuss here. Thanks to technology, the world now has become a more open and transparent place. Nothing is actually hidden from the eyes of the technology. So, whether you’ve lost your phone and want to track it or simply wants to track the location of a spam phone number, it is actually possible, if only you know the right way. So, let’s begin. We will take different cases, one by one, here. Depending on whether your phone is stolen or lost, you’ve to take the right and necessary steps at the right time. If your phone has been stolen (and you’re sure you haven’t just misplaced it), you’ve to report it immediately to your local police station. As for tracking the phone, there are the following ways to do that. Before we go ahead, you should know that tracking a mobile number is not exactly the same thing as tracking a mobile phone. Phone numbers are linked to the SIM, so when you’re tracking a cell number, you’re actually tracking the SIM card using a unique code linked with the chip. This is why removing and breaking the SIM card is usually the first thing a thief does after stealing a mobile device. But do not worry. There are ways to track a mobile phone even without the SIM card. First thing first, try calling your number (which is stolen). If the phone is actually stolen, there’s a good chance that the SIM card has already been removed and your call will not be answered. But you should try nevertheless. Second, report it to your carrier or service provider so that they can take the required steps to try and find your phone or block the services in case if the phone is not found. This is important in order to ensure that your phone number is not used for any illegal activities such as making spam calls or messages. The third step is to try to track your phone. Depending on whether it was an Android phone or an iPhone which has been stolen, you can use services like Find My iPhone (for iOS devices) or Android Device Manager (for Android phones) to track the phone’s whereabouts. For any of the two services to work, you must have set this up on the device which you’re trying to track. These services can help you find an approximate location of your phone. For iPhones (and other iOS devices), visit your iCloud account and click on Find My Phone option in order to see its current location. Android Device Manager works in the same manner. You can visit the page and automatically see the last seen location/time of your stolen device. It uses features like GPS, device location history, etc., to track the phone. Moreover, you can also use this service to ring your phone loudly, lock the device or even erase the device content remotely to secure your accounts and phone data. If you’ve lost your phone or misplaced it, the best way to find it is by giving yourself a call. If the phone is in the reach of your ears, there is a good chance that you’ll find it nearby. However, if you have left it someplace else, you can only hope that it gets in the hands of an honest person who will pick up the call and return your device. If not, locking it remotely is your best option for the time being. If your phone is lost, there is not much police can or will do about it. However, you should still try and file a police report, especially if your phone has an insurance cover. You can now try to find it on your own. You can use the above mentioned services (Android/iOS) to try and locate your phone. Alternatively, you can use third-party services and apps such as TechWelkin mobile tracker, mSpy, MobileSpy, TrapCall, etc. If someone is harassing you on the phone, the first thing you should do is report it immediately to the police. They will help you by trying to locate the caller. Fortunately, they have better tools and ways to track a mobile number, so you can be hopeful that the harassment calls will stop soon. Another thing you should do is block the spam calls and numbers from your phone as well as report them to the respective organizations so that they can take appropriate actions accordingly. Another step that I found greatly helpful in such cases is leaking the suspected numbers on social media or among your friends so that the identity of the caller is eventually revealed or at least they stop harassing you. 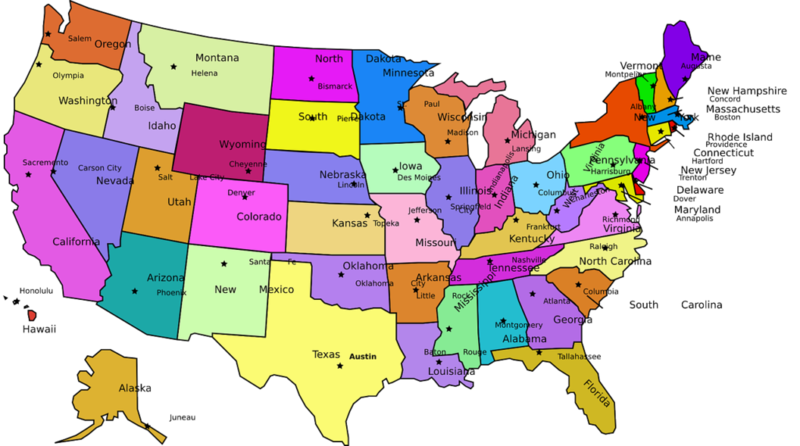 Big states like California, New York, Florida, and Texas have multiple mobile codes, so it may not be feasible to remember them all. But do not worry, there are apps for that. You should just have an idea of how it works, and I am sure you have it by now. So, the next time your phone is stolen or lost, instead of panicking, follow the steps mentioned in this blog to try and find it.